He believes that Twitter plays a major role in promoting democracy and organizing protests in places like Brazil and the Middle East — and that’s why he was so concerned when former National Security Agency contractor Edward Snowden leaked details about the U.S. government’s massive surveillance of internet traffic and social networks. Almost immediately, Freitas started building a more secure and robust alternative to Twitter, making use of code from two other massively successful online projects: bitcoin and BitTorrent. Although he gives Twitter credit for resisting government pressure to hand over user data, Freitas remains worried about people putting too much information in the hands of one company. “As much as I like using Twitter for news reading, the possibility of a single entity being able to control this important flux of information made no sense to me,” he says. His alternative is called Twister. It’s a decentralized social network that, in theory, can’t be shut down by any one entity. What’s more, Twister is designed to prevent other users from knowing whether you’re online, what your IP address is, or who you follow. You can still post public messages a la Twitter, but when you send direct and private messages to others, they’re protected with the same encryption scheme used by LavaBit, the e-mail provider used by Edward Snowdan. 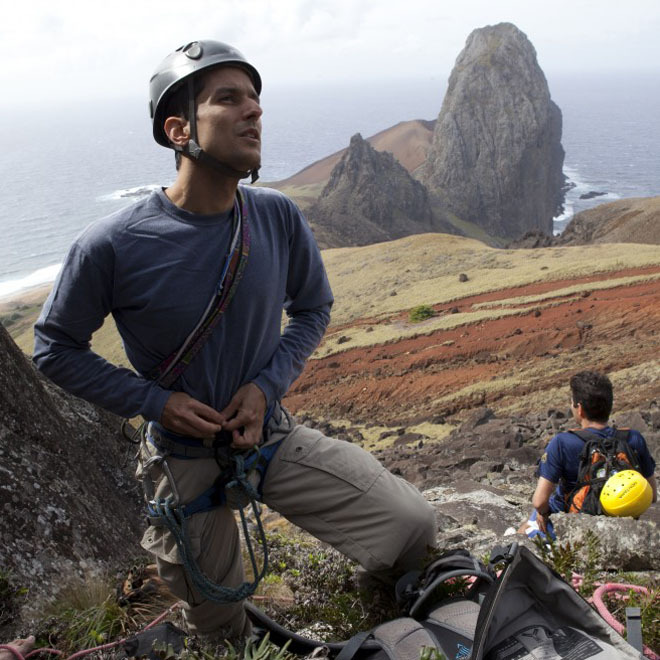 After spending a few months hacking on the project — including a stint coding and backpacking on Trindade Island — Freitas and his collaborator Lucas Leal have completed a test version of the app that runs on Android, Linux, and OSX. Freitas has no plan to create a Windows or iPhone version, but since the code is open source, others are free to port the app to additional operating systems. Twister is surprisingly easy to use for an application that’s so new, that isn’t controlled by a central authority, and that places so much emphasis on security. Other decentralized alternatives to Twitter and Facebook — such as Pump.io, Identica and Diaspora — require that you either operate your own dedicated server or trust someone else to run a server for you. Twister works more like peer-to-peer file sharing software: Launch the app, and it connects with other users. There’s no need for a central server. It manages this trick through the bitcoin protocol, though not the network that actually drives the digital currency. Basically, the protocol handles user registration and logins. Just as machines — called miners — verify transactions over the bitcoin network to ensure no one double-spends bitcoins and everyone spends only their own coins, a network of Twister computers verifies that user names aren’t registered twice, and that posts attached to a particular user name are really coming from that user. Posts are handled through the BitTorrent protocol. This lets the system distribute a large number of posts through the network quickly and efficiently, and it lets users receive near-instant notifications about new posts and messages — all without the need for central servers.